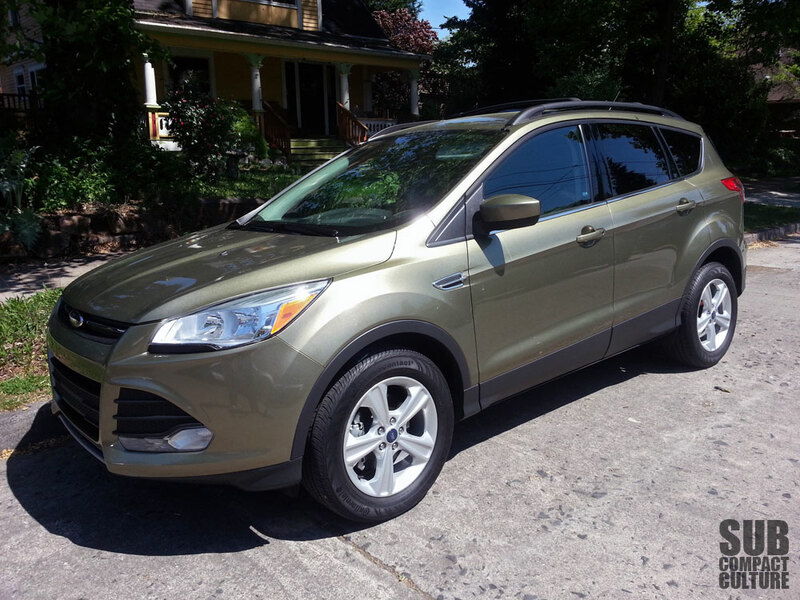 In the driveway this week is the 2013 Ford Escape SE. This compact crossover is powered by the 178 horsepower 1.6-liter turbochraged EcoBoost engine instead of the 240 horsepower 2.0-liter EcoBoost, and it's a front-drive model, not the all-wheel drive variant. I think it looks very attractive, certainly less boring than some crossovers out there. Initial impressions are that it has a good amount of low-end power, a modern if not somewhat futuristic-looking interior, and a lot of tech goodies. It seems to ride well and is quite comfy. Yes, it's got Microsoft Sync, and no it doesn't have the fancy swing-your-foot-under-the-rear-bumper-and-the-liftgate-opens tailgate. I tried doing that and just looked like a moron.